Cheerful and bright personality, Cyrus K also known as Mr. K is a crowd-pleaser with both young and old. 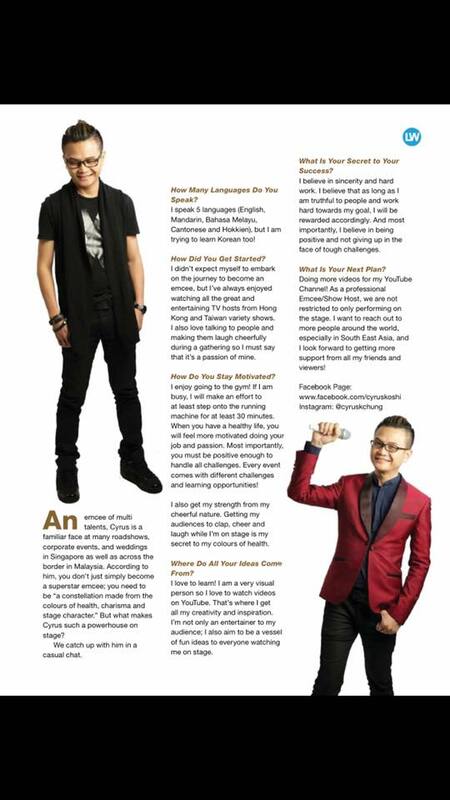 Fluent in English, Mandarin, Malay and Cantonese, he is able to engage almost anyone with his vibrant energy. As a multi-talented host, voice talent, singer. Cyrus will definitely make your event unforgettable!